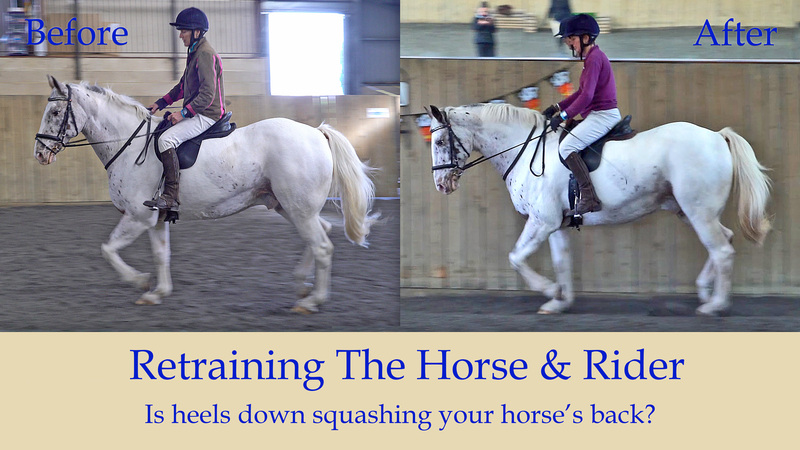 IS HEELS DOWN SQUASHING YOUR HORSE? Getting your heels down seems to be the be all and end all of some training. It can be heard bounding off riding arena walls all across the world. It’s as if you can’t be a good rider if your heels are not down. 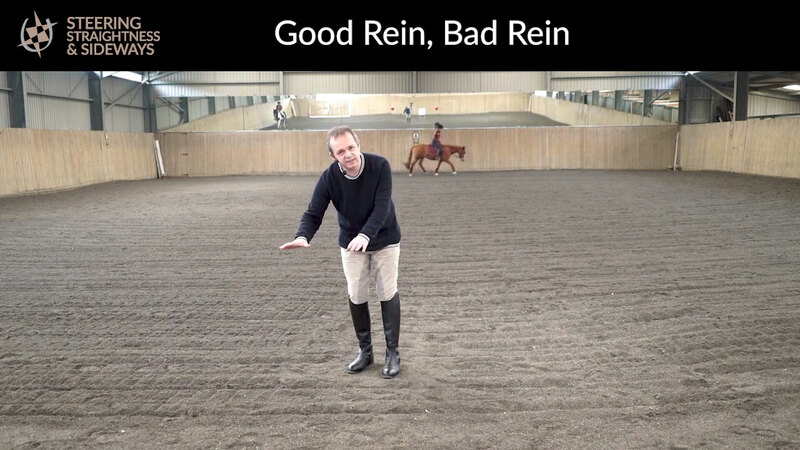 However, for dressage, putting your heels down to the detriment of all else can be bad for your position. It can also effect the way the horse works across his back. It is incredibly easy to obey the instruction of pushing heels more down, just stick your leg far enough forward and voila – heels are down. Getting the heel down is done by going toes up and closing the angle between the shin and the top of your foot. For some people, heels down when the leg is in the right place may never happen, or may take a while. 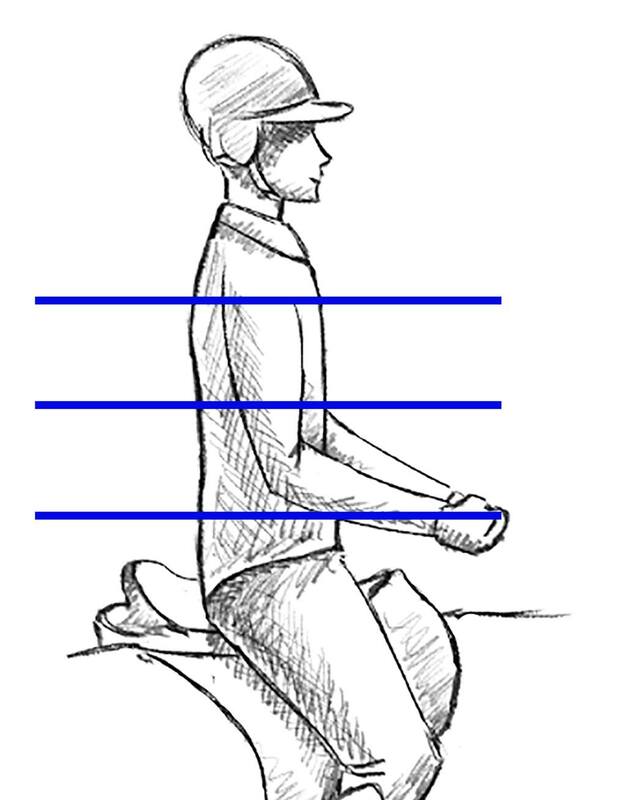 It all depends on the rider’s suppleness and physiology. HOW CAN HEELS DOWN BE BAD? Have a look at the picture above. 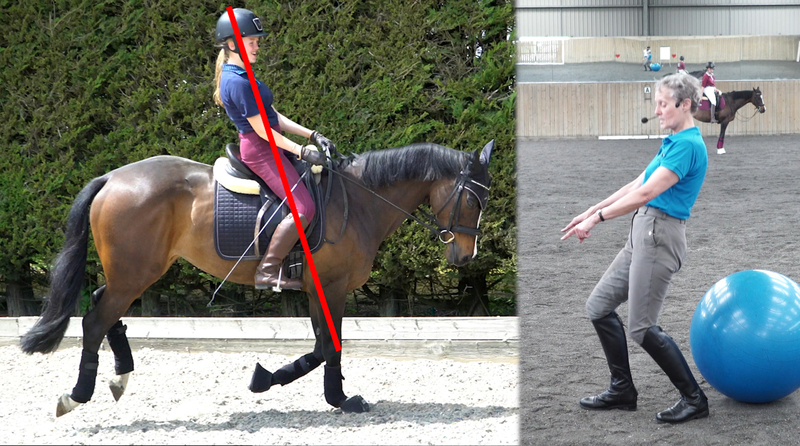 On the left side the rider has her heel down but the lower leg has swung forward. This has caused the knee to come up and all of the weight is then down in the back of the rider’s seat squashing the horse’s back. Newton’s 3rd law – each action has an equal and opposite reaction. 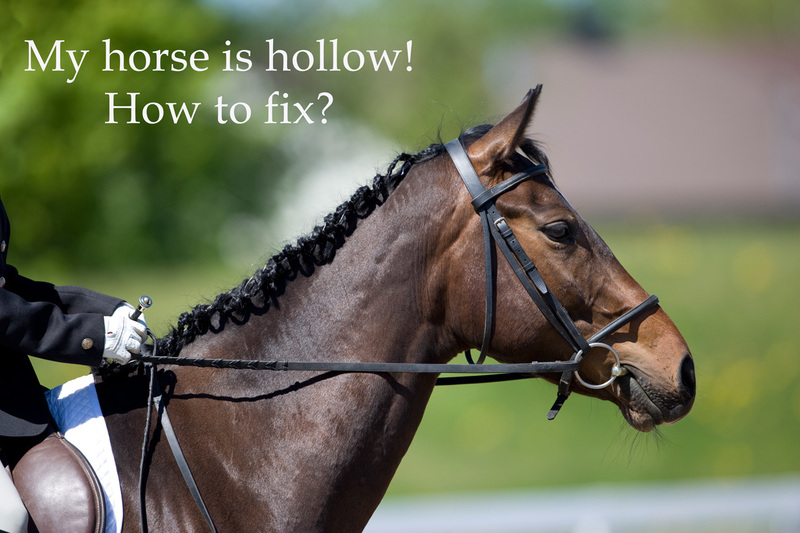 You push your heel down into the stirrup and something has to come up… usually what happens is that the leg swings forward on the pendulum of the stirrup and it pushes the seat further back in the saddle. Look at the picture on the right. Notice how in the same phase the rider has the lower leg more underneath them. The weight is more down into the thigh/knee and there is much less weight in the back of the seat. 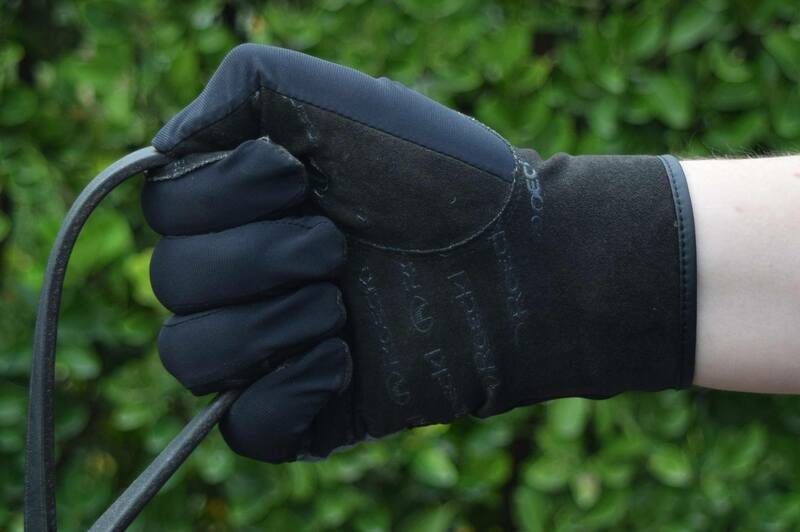 The horse can now have a chance at working more over it’s back without the rider’s weight squashing it. 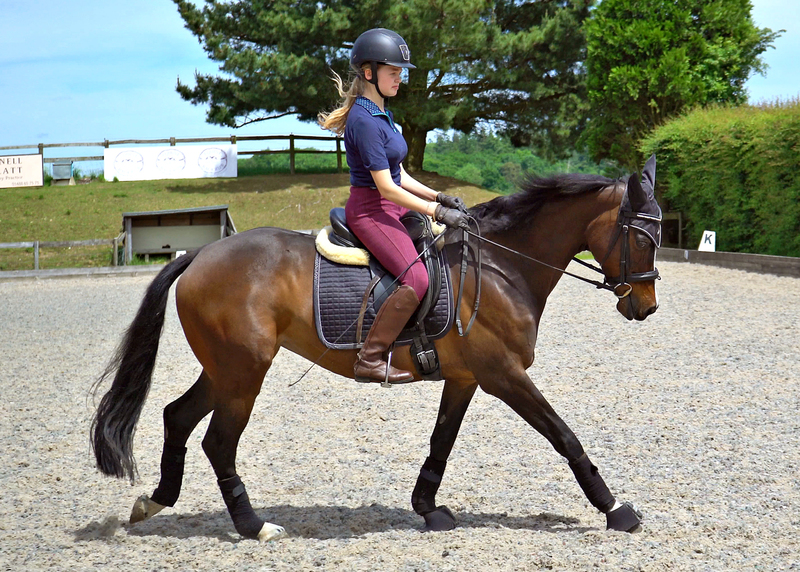 Watch Sarah & Pablo progress in the Retraining of Horse & Rider series Pablo and Sarah are part of the Retraining of Horse & Rider series. You can get access to their sessions by joining our membership site where you will find tonnes of training videos all working from the same Ride With Your Mind training ethos. You won’t find conflicting advice, but instead a clear training system.